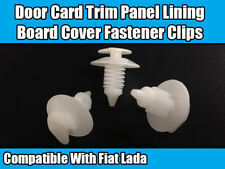 classic fiat 500 rear door cards. 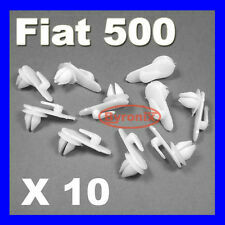 Classic fiat 500 rear door cards good condition, could be sprayed any color. Handles, Locks & Lock Cables. VW LADA FIAT. Body, Bumpers & Trims. Need Assistance?. Opening Hours. We hope to hear from you soon! 'ONE CAR PART' Sales Team. We have a friendly and knowledgeable team who are more than happy to help. Total length. All orders are usually sent within 24 hours. We treat you the way we would like to be treated FAIR. 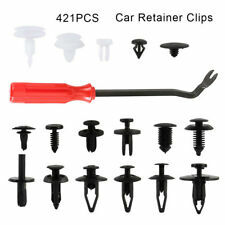 One of the types used for the door cards on older Ducato and Uno models check compatibility. Stem length. We treat you the way we would like to be treated FAIR. All orders are usually sent within 24 hours. FIAT 500X Hatch 5dr 2017 Petrol Man 5 Spd Black 1600 Door Card N/S/F Shelf No: L003. Sat 8.30am - 3.30pm. Peugeot; Citroen;. Renault Kangoo;. Renault Clio;. We hope to hear from you soon! We have a friendly and knowledgeable team who are more than happy to help. 'ONE CAR PART' Sales Team. 9.30am - 16.30pm. Handles, Locks & Lock Cables. Safe & Secure. 'ONE CAR PART' Sales Team. We hope to hear from you soon! 9.30am - 16.30pm. 8.30am - 6.30pm. Opening Hours. We have a friendly and knowledgeable team who are more than happy to help. 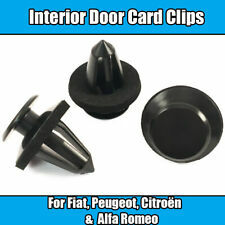 FIAT CINQUECENTO SPORTING DOOR CARDS. 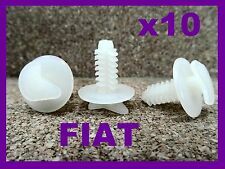 AS FITTED TO ALL CINQUECENTO SPORTING 1993-1998. I USUALLY HAVE MOST PARTS IN. Nearside Front Door Card. Electric Windows/Electric Wing Mirrors. 500 Pop (MK1 (312)) (ABS). 3 Door Hatchback. The table below contains further information. Vehicle Photographs & Guide. Manufactured Year. THIS PART IS FROM A 2010 FIAT FIORINO 1.3 MILTIJET, 2 DOOR VAN, 5 SPEED MANUAL GEARBOX. FITS:FIORINO 2008 -2018 Mk3 Front Left. Land Rover. OUR REF: REF 00000315. THIS DOOR CARD IS SCRATCHES, HAS PAINT ON AND IS WORN. IF PARTS COMPATIBILITY IS LISTED THEN IT IS ONLY TO BE USED AS A GUIDE, FOR ACTUAL COMPATIBILITY THEN PART NUMBER OR DETAILS MUST BE CHECKED. NO PHONE NUMBER, NO PARTS. O NOT PHONE AFTER 6pm, YOU WILL GET THROUGH TO THE SECURITY GUARD AND HE HAS A PROBLEM WITH MANNERS. A used item, but good useable condition. Model:GRANDE PUNTO. Item Specifics:2006-2014 - MK1 - 5 DOOR - HATCHBACK - RIGHT FRONT - DOOR PANEL. Part:Door Panel. This Door Panel was removed from a2008 car and has been fully inspected. We treat you the way we would like to be treated,FAIR. Fiat Doblo. Part Number : C156 X10. Colour Is White. Quick Links. Set Includes ;. 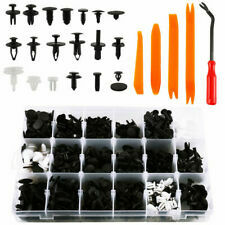 Original Part Number : 71728805. New Arrivals. (parts only,no labour will be covered). Arran - KA27 KA25. Oban - PH 33, PA20-49, PA60-80, KA28. Inverness -ALL. Orkney and Shetland - Orkney KW15-17 and Shetland ZE1-3. FIAT PUNTO EVO 1.2 LITRE PETROL 2011 MODEL. 3 DOOR HATCHBACK 5 SPEED MANUAL. AJ SPARES is a large independent Vehicle Dismantlers. P ART NUMBER - N/A. The Blue Containers. P AINT CODE - WHITE.